I always thought the London & South East Davison's 'Jaffa Cake' livery was an excellent colour scheme. Not too brash and over the top, and unlike some liveries based on white, did not get grubby too quickly. 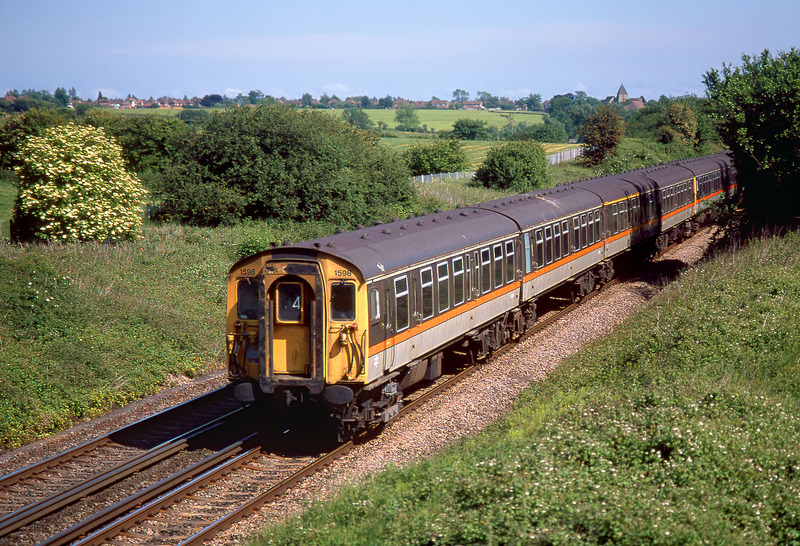 Here we see Class 411 4CEP 1598 approaching Sevington with the 15:28 Dover Priory to Charing Cross service on 2 June 1989. This view has now been completely transformed, as the new high speed Channel Tunnel line now runs parallel, and cuts through the field visible in the background.